“The whole process of writing this new kind of book was almost subconscious. As I looked at the 3-D photos, memories were triggered and the stories poured out. It’s the 3-D element that makes it so evocative. I believe each image will draw readers in deeper, like me, inviting them to immerse themselves in a scene, to share a previously unseen Queen moment,” said May. The 3-D illustrations were all captured with May’s stereoscopic cameras. From an early age he traveled with a 3-D camera, allowing him to capture rare behind-the-scene moments on Queen Tours and during recordings. Some of the photographs had not even been fully processed until the book was in the making. Initially thought by May to be a quick job, this project turned into a labor of love which spanned three years. Each time the book seemed to be close to completion, more 3-D photos were found in forgotten hiding places, prompting further memories and filling in the story. 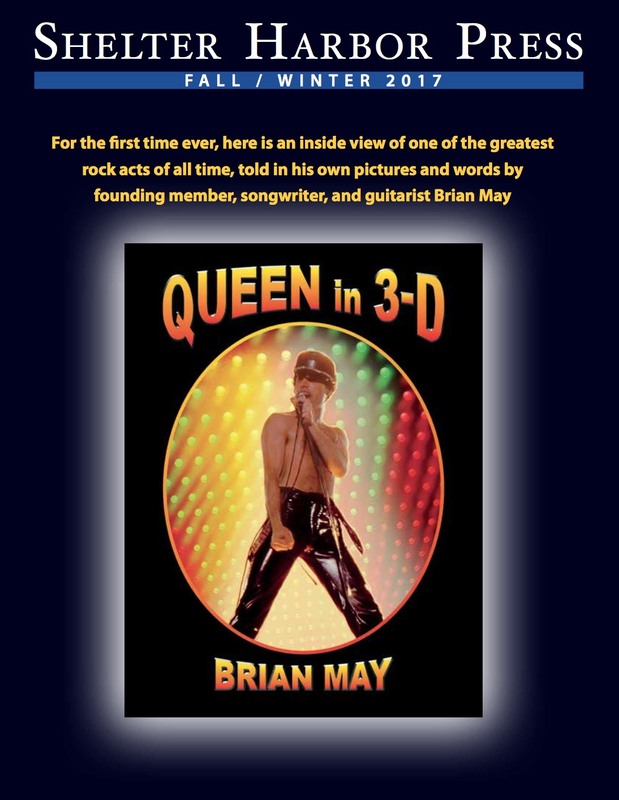 Queen in 3-D eventually became a compelling set of snapshots of May’s life and the life of Queen, over more than 50 years. 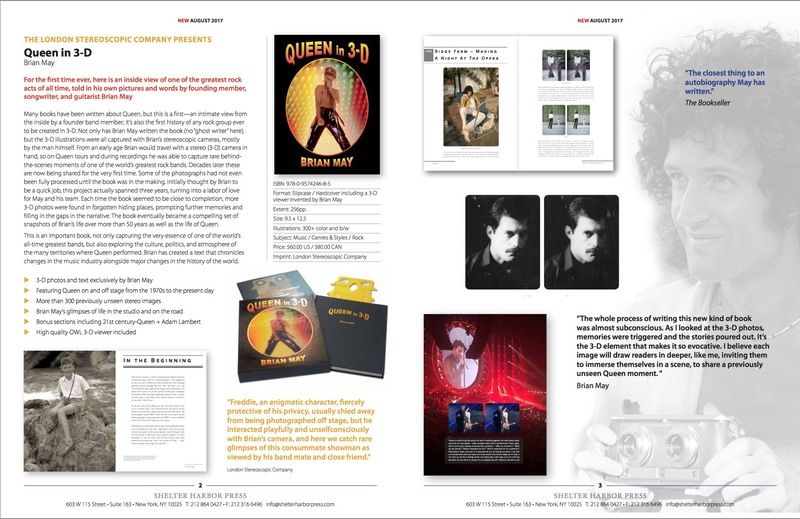 Published as a lavish, high quality coffee table book by May’s own London Stereoscopic Company, Queen in 3-D reveals the band’s history through his eyes and reflective narrative. The book is illustrated with around 360 photographs, mostly accessible in 3-D using the OWL viewer supplied. May’s recollections about himself and fellow band members Freddie Mercury, Roger Taylor and John Deacon, are shared for the first time. Images were taken on stage and behind the scenes, including informal shots taken on the road and during leisure time. Mercury, shy and fiercely protective of his privacy, interacted playfully and comfortably with May’s camera. Queen in 3-D shares rare glimpses of this consummate showman as viewed by his band mate and close friend. Current fans of the band will also enjoy the modern sections, including on and off stage moments with Adam Lambert. This is an important book, not only capturing the very essence of one of the world’s all-time greatest bands, but also exploring the culture, politics and atmosphere of the many territories where Queen performed. Brian has created a text that chronicles changes in the music industry alongside major changes in the history of the world. Shelter Harbor Press; Box edition (August 24, 2017).